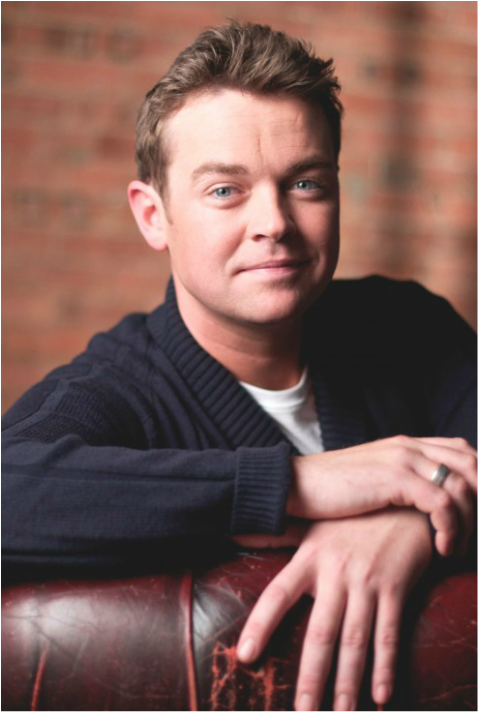 Due to his charismatic personality, his great talents and magic powers, Stephen Mulhern is a fantastic spokesperson. Below is an example of an interview he recorded with Magic FM about Febreeze, where his sense of humour and personality shines through. If you're interested in a TV personality spokesperson for any radio or TV interviews please get in contact with us. 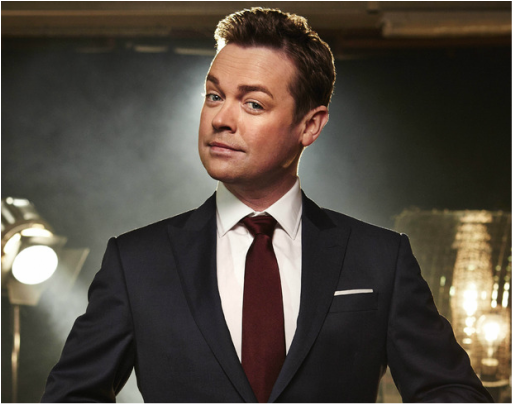 Stephen Mulhern is firmly established as one of the most popular young presenters in the business. He is best known for his smash hit television shows ITV1’s Saturday morning show Holly & Stephen’s Saturday Showdown, Tricky, Fingertips, Globo Loco, the BAFTA award winning Quick Trick Show and Ministry of Mayhem. After stepping away from Saturday morning children’s TV he went onto host Dancing on Ice-Defrosted and Britain’s Got More Talent, the ITV2 spin offs from the massive ITV1 hit shows. As well as television, Stephen is an experienced stage performer, having appeared in numerous theatre productions including Grease where he played Danny Zucco. He has also toured in his own stage show called Stephen’s Mega Mad Magic Show which saw him tour the country for 78 dates, performing for more than 250,000 people. The highlight of Stephen’s stage career to date was being invited to appear on The Royal Variety Show at the Victoria Palace Theatre in front of The Queen and The Duke of Edinburgh. Stephen had the pleasure of meeting Her Majesty once again since then, having been invited to Buckingham Palace for tea! Stephen has written a TV series for Channel 4 called ‘Freaky’. He has not only created the show but was the executive producer! Stephen says “It’s a new style of TV magic that is well suited to Channel 4 and moves magic on even further than David Blaine took it”. The first series was such a huge hit that the channel commissioned a second. 2005 was a great year for Stephen as he continued to host Ministry of Mayhem (Saturday mornings ITV1). He also presented the Children’s BAFTA Awards winning Tricky TV (CiTV) of which Stephen is the co-creator. He appeared as Robbie Williams on Celebrity Stars in Their Eyes. He has also presented two series of the ITV1 primetime Saturday night show, Animals Do The Funniest Things. If this was not enough Stephen has also written his own one man stage show that toured Butlins. 2006 continued to be as hectic - Stephen co-presented Holly & Stephen’s Saturday Showdown (Saturday mornings ITV1), was nominated for two Children's BAFTA’s (Best Presenter & Best Entertainment show for Tricky) and also forged a very successful career with ITV2 with him hosting Dancing On Ice: Defrosted and The Princes Trust 30th Birthday celebrations. After completing a sell out Christmas and New Year run of the panto Mother Goose, 2007 began with Stephen back on ITV2 with the second series of the hit show Dancing on Ice: Defrosted and Tricky TV also returned for its second series. In June, Stephen hosted another flagship show for ITV2, Britain’s Got More Talent, which proved to be a huge success! He returned to Panto playing the part of Aladdin at The Marlow Theatre in Canterbury which got rave reviews. 2008 was an exciting year for Stephen which saw Britain’s Got More Talent and Animals Do The Funniest Things return. He also fronted a brand new show for ITV1, Kids Do The Funniest Things & Athlete’s Do The Funniest Things. June saw Stephen host the Britain’s Got Talent Tour which took him up and down the country. Simon Cowell has openly said on TV what Stephen does is “AMAZING” and ITV agree as one of their major stars in the home of family entertainment. 2015 has seen the smash return of Catchphrase, BGMT, Big Star’s Little Stars as well as the continuation of his hit Sunday Morning Heart FM show with Emma Willis. He will also return to Butlins for his bi-annual Summer tour with a spectacular and all-new entertainment show, as well as bringing a whole raft of exciting new television shows to your screens throughout the year ahead.